Ready to use. 1 shot kills weeds and grasses roots and all. Use In & Around Fences, Trees, Driveways, Flower Beds, Walkways and Shrubs. Non-Selective. Systemic Weed & Grass Control Treatment For Undesirable Vegetation. Does Not Have Soil Activity. 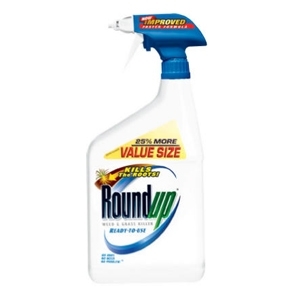 Contains 1.8% Glyphosate. Bonus Size, 25% More Free.